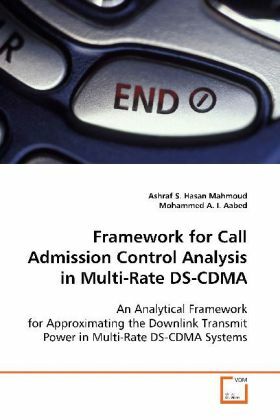 This book presents a framework for analytically §characterizing the downlink transmit power for DS-§CDMA multirate systems. The downlink transmit power §for DS-CDMA multirate systems serves as one of the §most important radio resources utilized in various §call admission control algorithms and thus determine §the capacity and performance of overall system. This §book presents three models for approximating the §transmit power probability distribution: the §lognormal random variable approximation, the min-max §lognormal random variable approximation, and the §least-squares cubic fitting. The book also evaluates §the appropriateness and accuracy of the suggested §approximations.